UPDATED: Thu., Dec. 21, 2017, 3:38 p.m.
RENTON, Wash. – The Seattle Seahawks have been fined $100,000 for not properly following concussion protocol with quarterback Russell Wilson during a game in November. The NFL and NFLPA announced their decision on Thursday following an investigation that lasted more than a month. 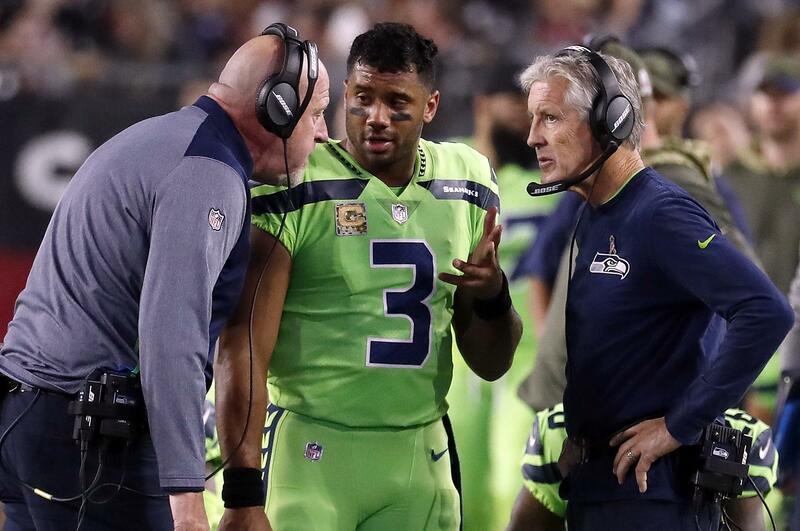 Along with the financial penalty, Seattle’s coaching and medical staffs will be required to attend remedial training regarding the concussion protocol. Seattle is the first team fined for such a violation. The investigation determined that Wilson was allowed back on the field before a required evaluation was performed on the sideline. Wilson was hit in the chin by Arizona’s Karlos Dansby, who was flagged for roughing the passer. Referee Walt Anderson sent Wilson off the field. But Wilson was in Seattle’s injury tent for only a few moments and he missed just one play before returning to the field. “In this case, through a series of communication breakdowns, the protocol not followed,” NFL spokesman Joe Lockhart said Thursday. “The player was allowed to return to the game without going through the protocol, a clear violation. “The protocol was significantly strengthened over the postseason but we’re always looking for ways to make it better. In this case, all the medical personnel, coaches and referees have been told going forward – when a referee removes a player, that player has to be received by medical personnel. It can’t be to a coach. Published: Dec. 21, 2017, 12:21 p.m. Updated: Dec. 21, 2017, 3:38 p.m.